In september 2017 we at GlobalRize received a WhatsApp message with a picture made in India. 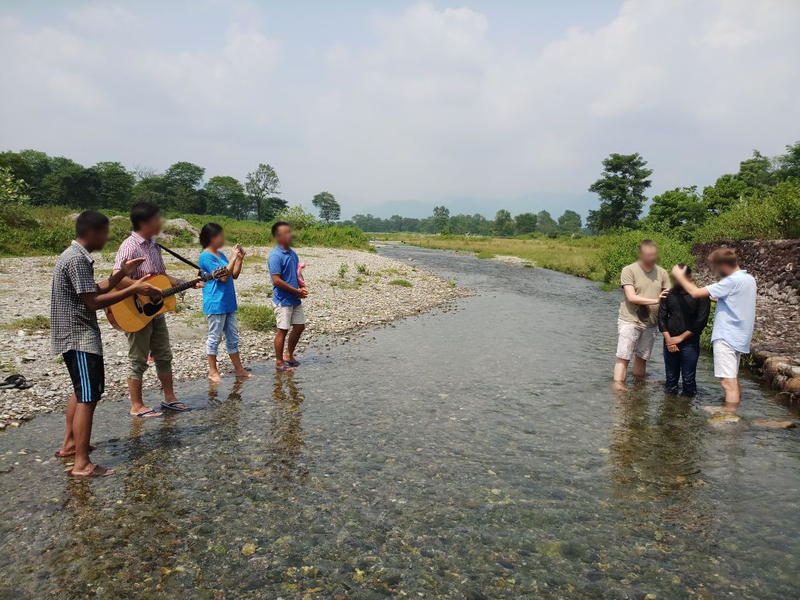 The pictures captured the moment Simon, a young man from India, was baptised in a small river near the border of Bangladesh. Through Facebook, he had come into contact with one of our team members. As a child he had heard about Christianity, and it had always stayed with him, in the back of his mind. He was brought up Hindu, but it never truly convinced him. At one point he saw a Facebook post at Biblword. In the chat conversations that followed, he discovered step by step who Jesus is. After hearing and understanding more, he longed to be baptised. What a wonderful testimony about how internet mission works. “God send someone from GlobalRize via Facebook to show me the right direction. At first I was confused. You helped me to read the bible. You have answered all my questions patiently. When I got to know Jesus personally, I found peace. I realized that this is something so important, everyone needs to know it! The man who baptized him let’s us know that Simon is a very valued and respected member of the community. He even preaches in his church. For his sermon he uses material developed and spread by GlobalRize. His relationship with his family is slowly improving and around him, people have come to respect the way he lives as a christian. Internet mission is working. Do you want to coach and guide people on their quest to Jesus? Become a member of our chat team and let God’s powerful work via internet surprise you.